Established in 2010. 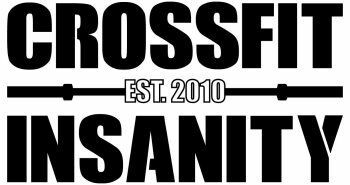 We bring over 30+ years combined experience to the CrossFit community. Our coaches have come from a variety of backgrounds to compliment each other and create a elite training facility. Our backgrounds range from Marine Corps Veteran, to a professional MMA fighter, and finally a former Olympic hopeful gymnast who trained with the great Bela Karolyi for 4 years. "I've been working out at Crossfit Insanity for about 6 weeks. The coach's are great: they push you to lift more, go faster, and work harder, but not at the expense of form or safety. They accommodate everyone from the elite athlete (some of those guys are insane!) to the couch potato that just decided to change his/her habits. They push everyone to get better. The members are friendly and supportive."